The “meet up for coffee?” might soon be replaced here with a very-British “how about we talk over a cup of tea?” – if the increasing tea trend strengthens. Spice traders first seduced Brits with the leafy elixir in the 1700s. However, it has increasingly crept onto café countertops here, as real competition to coffee. Tea has a comforting aroma and uplifting health properties, as quality blends seduce hot-drink addicts. The caffeine amount in tea varies with brew and blend, but it is around a third to half that of a cup of coffee. The question then arises, black, green or white? 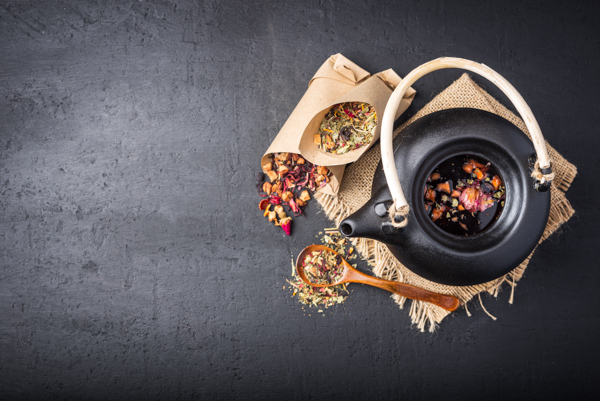 Black tea has been reinvented by the industry, boutique New Zealand businesses included, by blending additional ingredients – which read like poetry. Rosebuds and black tea is marriage in a teapot. Green tea can be infused with the likes of orange or mint to seduce newcomers to its natural benefits. White tea comes from young, minimally processed leaves. China White is a Christchurch company that jazzes up this delicate flavour with ginger or jasmine. Some specialist teas are of unique origins, such as Darjeeling from West Bengal or Oolong from China. Try a sip first, before adding milk and sugar. To convert the traditional ‘gumboot’ tea drinker, offer the fancier stuff and they’ll likely ask for a second cup. Cafés often present a loose-leaf in a teapot experience – and it’s all about presentation. Tea cups of fine-white bone china or gilded vintage floral, make an afternoon tea gathering quite something. Meanwhile, chilled fruit-infused tea is beautiful served in a wine glass. The nice thing about meeting up over a pot of tea for two, is that a pot lasts longer than a fast-cooling flat white – and so then can the conversation.